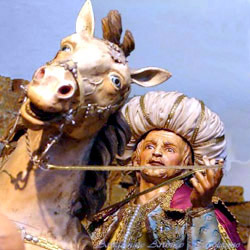 The link between the tradition of the Nativity and Naples is so exclusive that the term "Neapolitan presepe"is now a reality in itself. 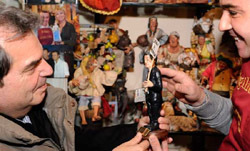 The Neapolitan presepe boasts among its figures not only the classic characters (the "Holy Family, the magi, the shepherds etc), but also the caricatures of famous people of past and present. 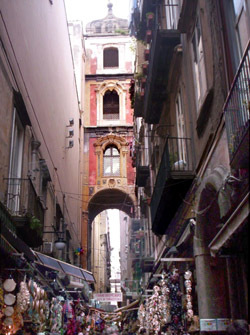 The street of the Presepi in Naples is Via San Gregorio Armeno in Spaccanapoli. Here there are specialized shops in the construction of presepi, inside of which you can find everything from classical statues to the accessories to create the animated nativity. 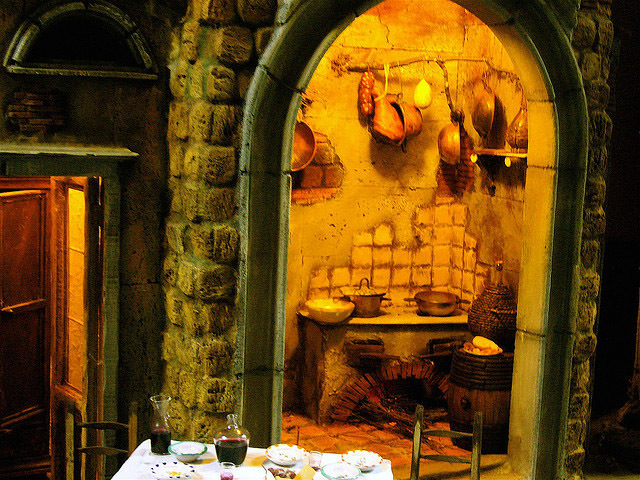 The tour that we propose will allow you to experience the unique atmosphere of Christmas in San Gregorio Armeno, in myriad colors and smells. During the same visit, you can taste the famous coffee and the sfogliatella at the Bar Scaturchio, the Bar of the town.